The safety and well being of all our students is of paramount importance to the club. Accordingly we are pleased to confirm that our instructors are CRB checked, first aid trained and importantly calm in any given situation. The style of martial arts we practice does involve a degree of contact, known as semi-contact. This means that when a student is involved in any form of contact training at the club, they will be required to wear the protective equipment specified and approved by the club. Faliure to adhere to this requirement will mean that you will not be able to take part in any contact sessions. In order to participate in gradings, competitions and other activities you will require a licence, which among other things provides insurance to protect you and the club. Like any physical activity, it is essential that as a student you are properly prepared and covered, so if you have any questions please ask one of the senior instructors, who will be more than happy to assist you. The club welcomes and trains people of all ages, abilities and disability, those under 18 years of age will require parental consent for a number of events run by the club. 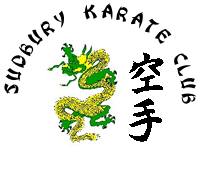 As stated the club has CRB checked instructors, but parents are still welcome to watch training sessions and actively encouraged to attend competition events. Photographs of children under 18 will only be used on the website or any other club publication with parental consent, the consent form can be accessed from the link below, please feel free to copy it and hand it in completed to a senior instructor. If at any time you decide that you want any personal information removed from the website or other publication please contact the website administrator - James Nicoll (details on contacts page) or a senior instructor.